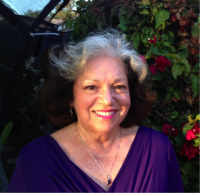 Phyllis PrestiaOur featured speaker this month is one of our own members, Dr. Phyllis Prestia. Phyllis will talk on the genus Cycnoches and will give the hobbyist orchid grower a thorough review of the distinctive traits of these spectacular orchids. She will highlight the key species most popular in modern Cycnoches breeding and their influence of color and form in both primary and complex hybrids. Phyllis’ comprehensive review of the culture for these relatively easy to grow orchids, including tips from her own successful experiences in growing them, will allow even those new to the genus to grow, bloom and enjoy these beautiful, fragrant orchids. The opportunity table will be provided by Sunset Valley Orchids and will likely include some cycnoches hybrid seedlings. Phyllis S. Prestia, Ed.D. is a retired educator and Middle School Principal, who received a Doctorate of Education at Rutgers University, where she also served as instructor in the graduate education program. Originally from New Jersey, she moved to California with her husband to retire in the sunny, San Diego area and grow orchids. Her collection includes a variety of species and hybrids across several genera grown both in a small greenhouse and three outdoor growing areas under shade cloth. In her orchid life, Phyllis has been the President of the San Diego County Cymbidium Society and currently serves as the Vice President of the Cymbidium Society of America, as well as keeping active in several Southern California orchid societies. She is currently participating in the orchid judge training programs of both the American Orchid Society and Cymbidium Society of America. W -117° 12.543468475342" N 33° 7.3994954652083"